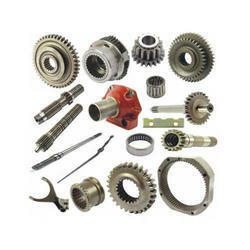 Assisted by a team of adroit professionals, we are engaged in manufacturing qualitative range of Tractor Spare Parts. Offered spare parts are manufactured using supreme raw quality material which is sourced from reliable vendors to ensure quality and durability. Tractor Spare Parts offered by us include Massy 135 which is offered in standard bore of 3.6, outer diameter of 3.69, collar O.D. of 3.81, collar width of 0.17 and total length of 8.1/2. Here, our rich industry expertise in developing precision engineered and high performance spare parts for tractors have helped us to gain confidence and desired product support from our customers. For assuring in them high performance values, we also ensure all tractor parts are checked so as to provide outstanding value based product solutions and service support to our customers. Looking for Tractor Spare Parts ?